I'm totally drooling over that barbecue. Looks like two heart attacks in styrofoam containers, but ohhhh so goooood! 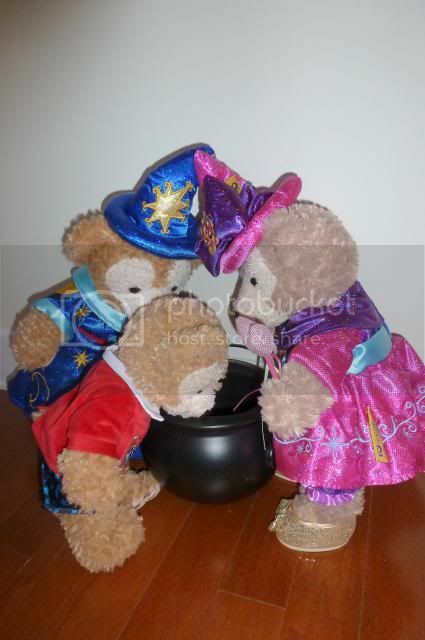 I hope Duffy and Shellie didn't get any sauce all over their fur! No, Diznygrl, they were fine. They had their checkerboard napkin and a moist towellette for when they were done. I'm not sure about the horses, Dazyhill. I just go for fun. This place was really puny and pales by comparison to Arlington Park Racetrack, in suburban Chicago. That place has a beautiful paddock where you can examine the horses as they walk in a circle, a winner's circle, a huge indoor awesome food court, bleachers, and is a beautiful venue. This place, probably because it only has live racing 5 days a year, was mostly people just standing on the grass at the fence, one small building with a stand serving fast food type snacks, and a few tables and a balcony. Oh, and this place had a portable screen that they just rolled onto the turf ha ha. Last edited by JillT; 09-07-2013, 10:19 PM. I know this isn't the right place to post this, but I can think of no better place. I met a woman this weekend who went to Asia this summer. 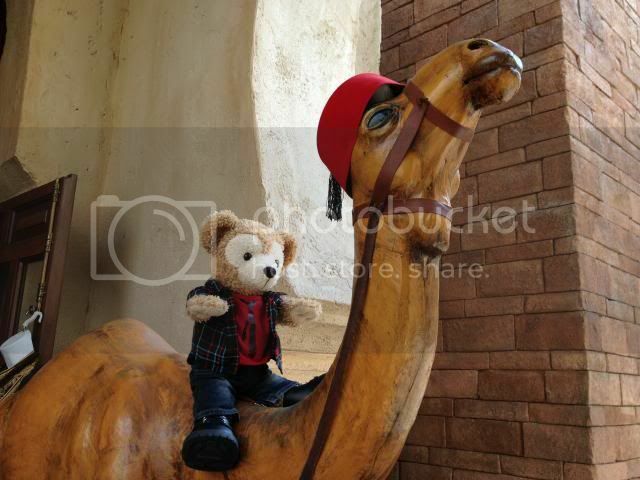 While there, she went to Tokyo Disney SEA. 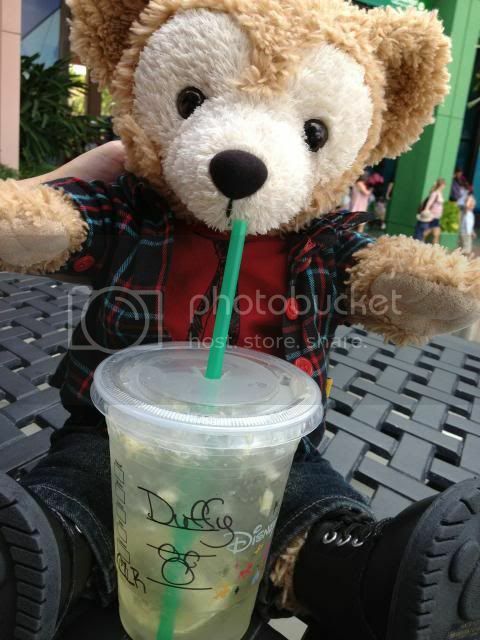 Her daughter begged her for a Shellie May, but, alas, she chose to purchase Duffy. 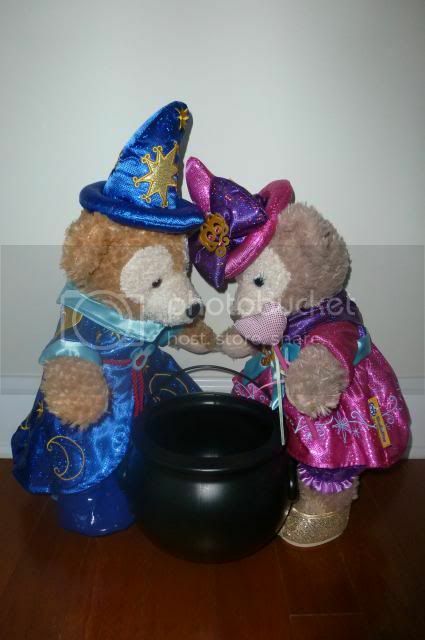 I told her that the only place in the world where Shellie May can be reliably purchased is at TDS. Needless to say, she was deflated. WOW! I am not sure what to say. I feel bad for the daughter, but I may feel worse for the Mom. I wonder why the Mom was so dead set against purchasing what her daughter wanted. 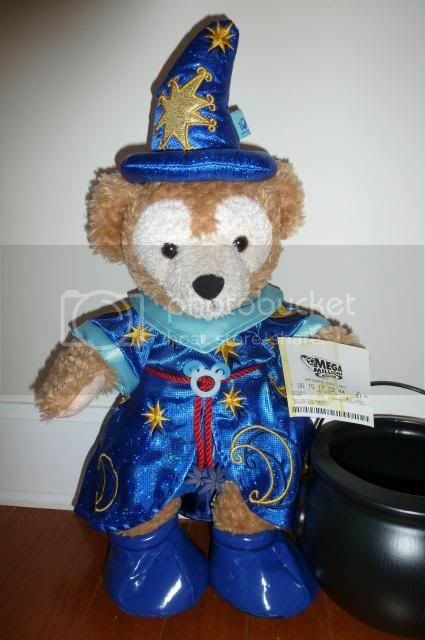 They're similar products (both Disney bears) and the same price as each other over there right? Oh, well. Who knows. 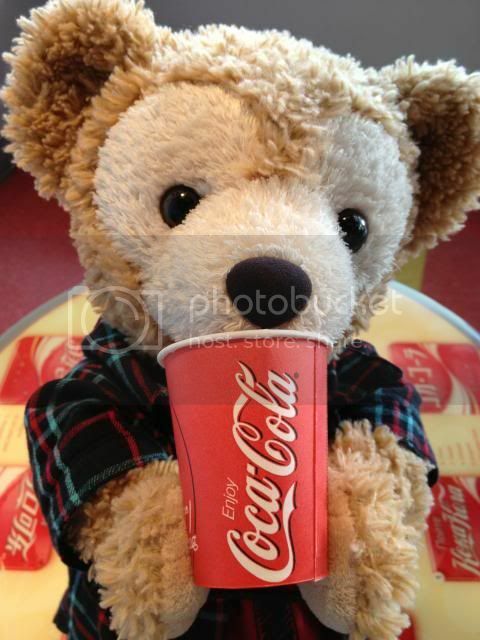 Maybe she wanted both, but Duffy is more predominant? Her mother fully instructed me not to say anything in front of her daughter. I did say that if she should want to obtain SM for Christmas, I could order one through the Post. 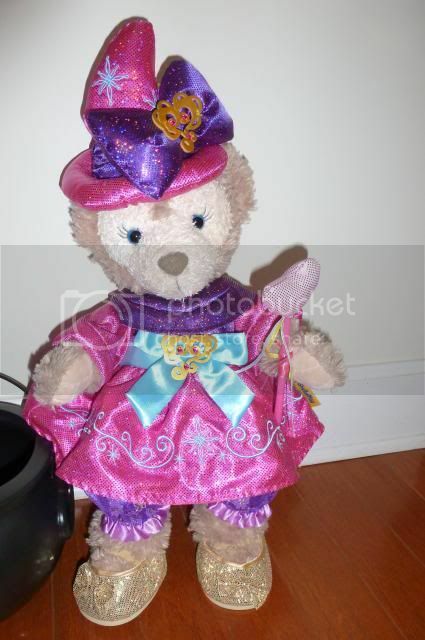 Our friends (where we were visiting) already know of my minor obsession, as they were here for my daughter's birthday where EVERY present was from TDS. Congratulations to Tokyo to host the Summer Olympics in 2020. 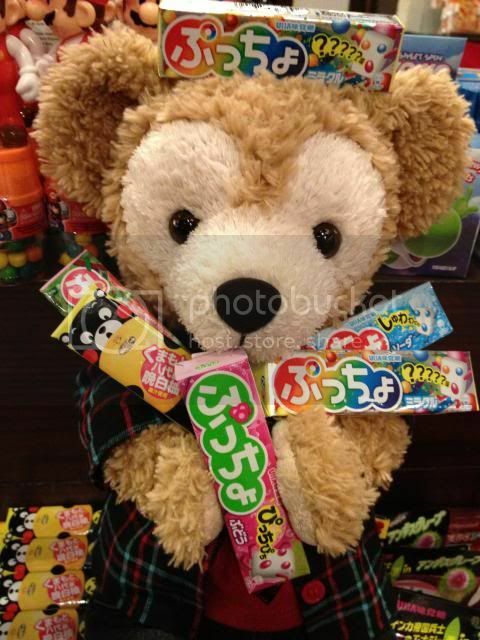 From Japan's most lovable bear, Duffy. Scrub-a-dub-dub, Lil D in a tub! 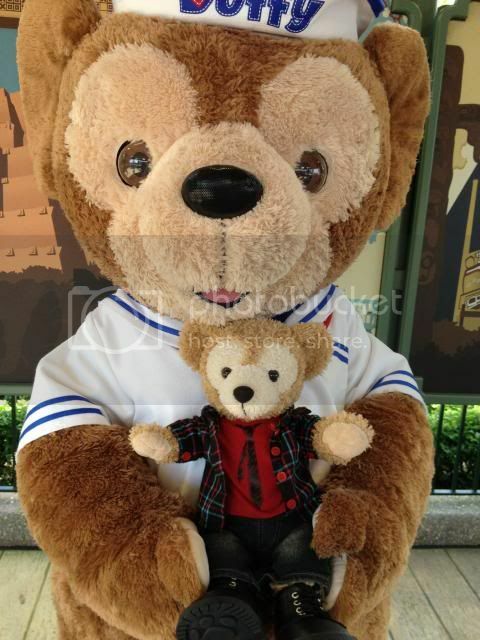 My Duffy has the same robe! That robe is so cute! !Where did you find it? 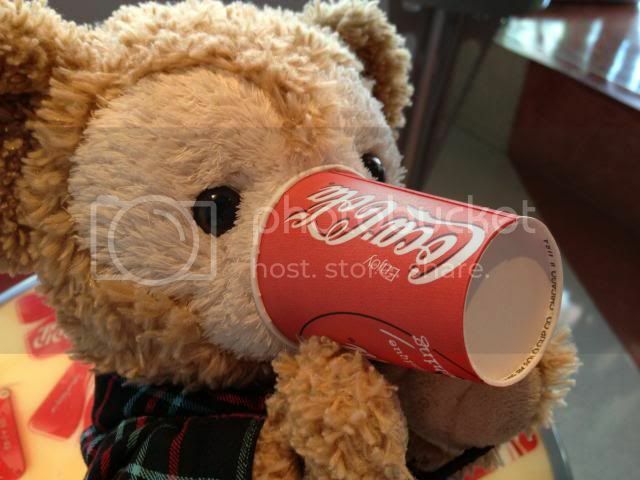 Stuffems, although it's out of stock right now. It's an online store and when you checkout it takes you to Amazon to pay. You might be able to email them and find out if it's discontinued or just temporarily out of stock. Oh JillT, I remember those photos of yours now that you've shown them to me again, but I guess I didn't remember about the robe! 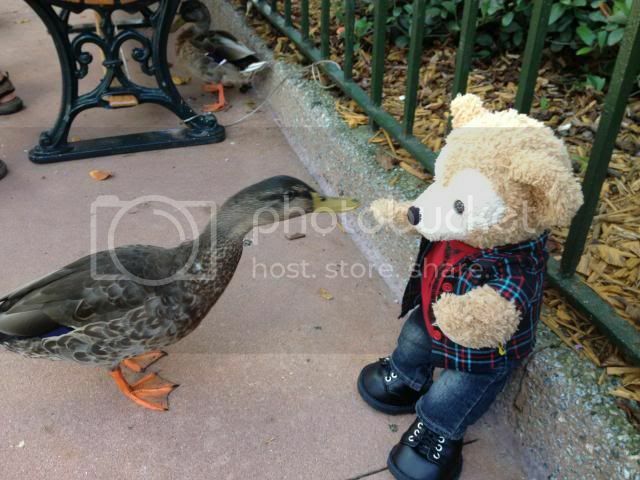 I love the little ducky shoes your Duffy has to go with it. I'm on their website now but I must register as a business, then they will make a determination whether I can order from them. It's weird! There is no phone number, only a fax number and an email address. 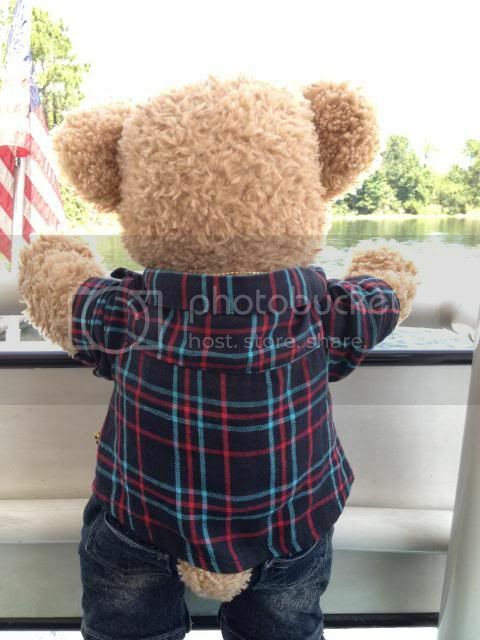 I agree, Duffy has some really large black jeans from Build a Bear and he swims in them. But another pair of blue jeans fit him fine. 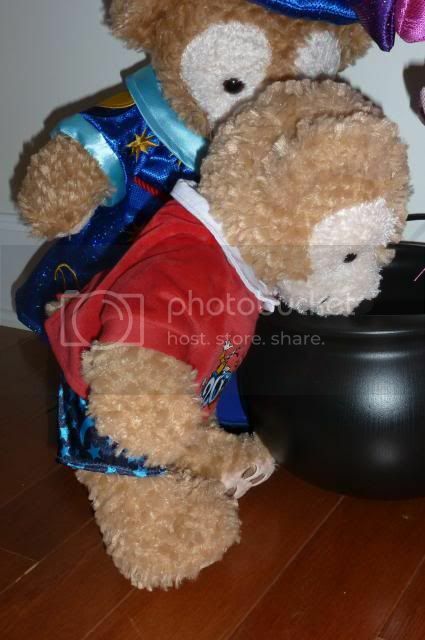 and of course, Build A Bear, Disney, Etsy, and from individual people in Japan sewing detailed costumes for these bears. 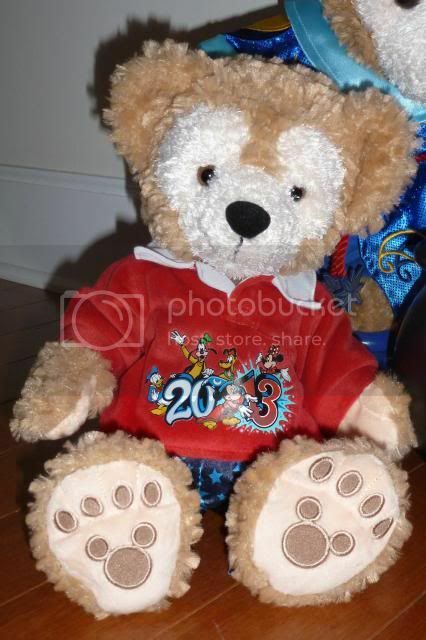 Don't order from Teddybearclothes.com - omg, their stuff smells heavily of smoke. They have a HUGE selection, so it's hard to believe someone would have room to operate out of their house plus they have what appears to be a storefront address (listed in merchantcircle.com), but they reek and I had to spray febreeze and wave the clothes through it and then air them outside for several days. 13 is my favorite number and I like Friday the 13th although I have not noticed any luck, good or bad, associated with that day. Well, I play the Mega Millions $2 x 2 a week and purchased my $20 ticket which lasts for 5 weeks, and then I always get a quick pick on Friday the 13th. 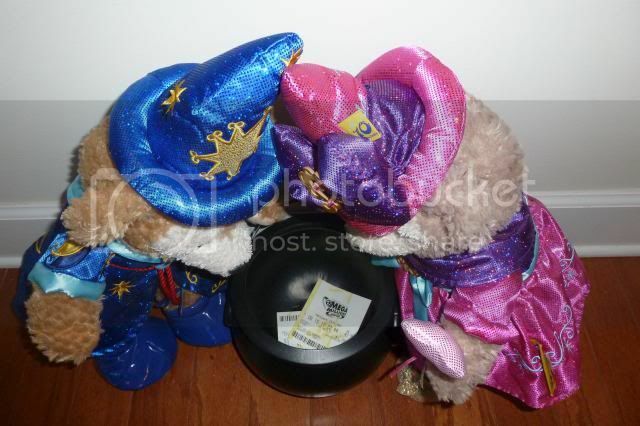 Duffy and Shellie May dressed up in their wizard costumes and threw my lottery tickets in the pot. 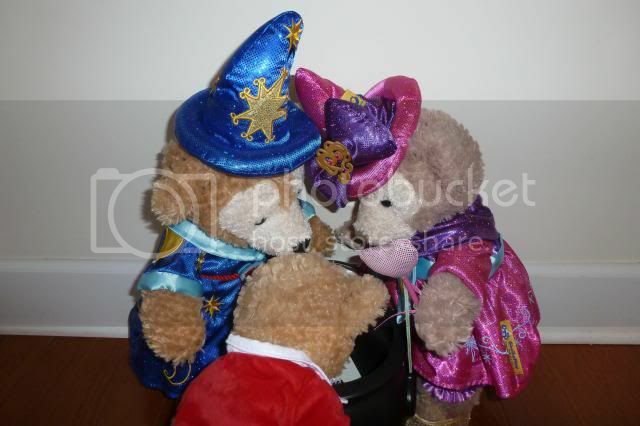 They’re working their magic, especially Duffy, since he’s the bear of happiness and luck. 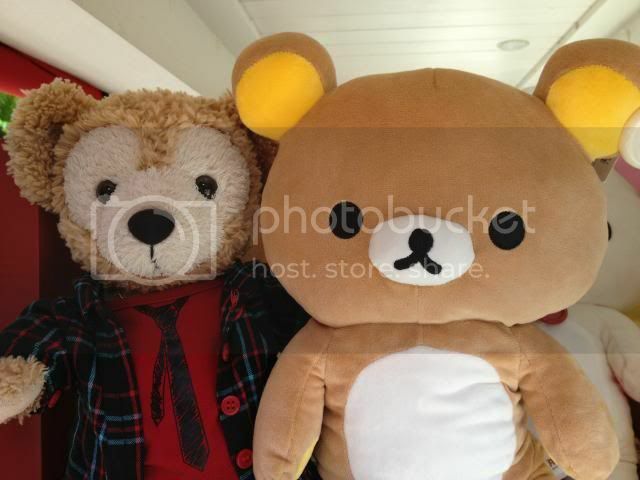 Dated Duffy decided to join in since he has the number (20)13 on him as well. The more luck the better. Stay tuned to see if I won anything! 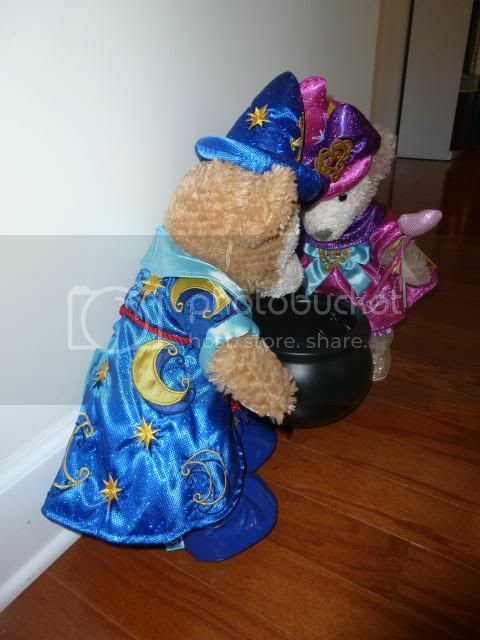 are those TDS outfits? Really nice. Yes. 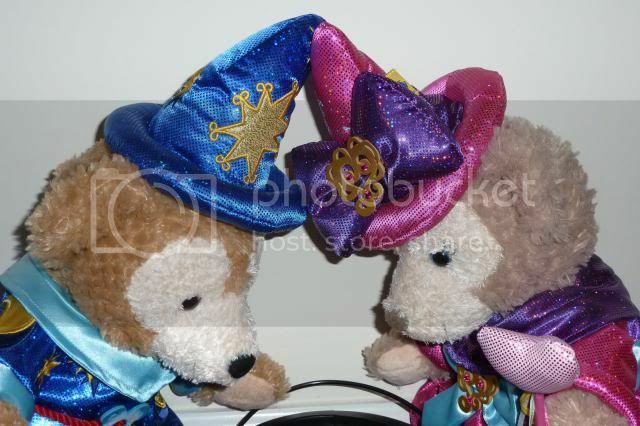 Those are from the Be Magical 10th Anniversary of Tokyo DisneySea (September 2011). 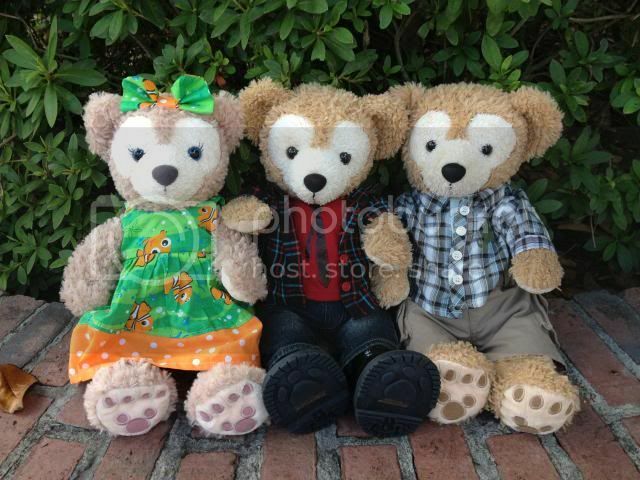 When I first went loulou (that's Hawaiian for 'crazy') with Duffy and Shellie May I looked through the back catalog and was able to get everything except one outfit that I wanted. 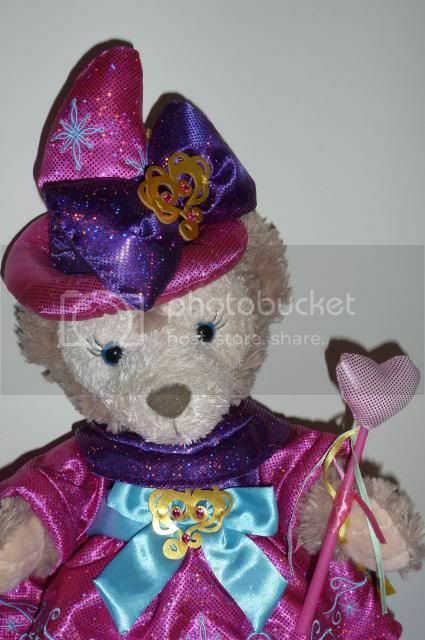 Shellie May's wand is from a faery outfit, though. 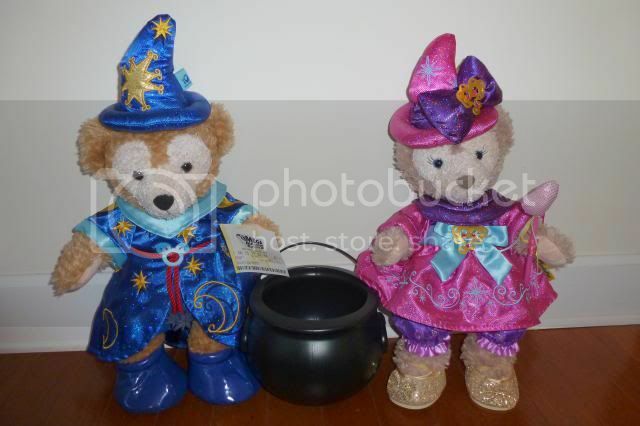 Also, the Be Magical shoes didn't match (different pink) so I put the gold sparkly shoes from Build a Bear on her instead. 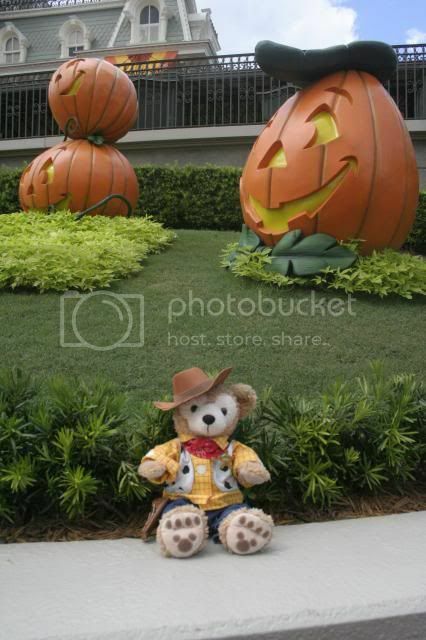 Duffy & I went to WDW this past Thursday & Friday. I'm working on going through the photos (I took so many). Will post photos once everything is edited and uploaded. This has to be one of my favorite visits so far this year! 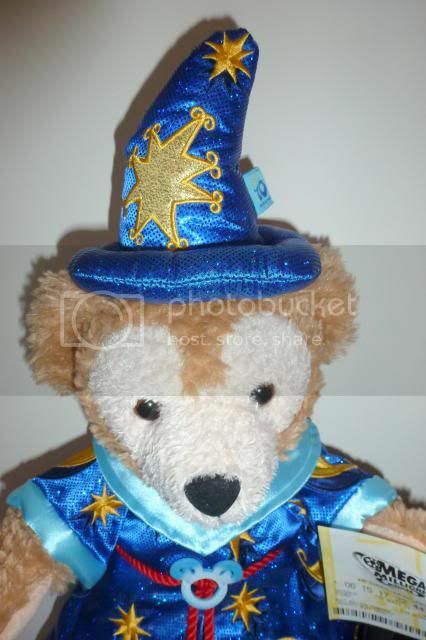 So I got one of the Duffy wristbags from the Disney Store... I have a few pictures from lately that I wanted to share. Duffy and DA (the wristbag, that's his official name, short for Duffy Arnold in honor of his football-shaped head) hanging out on the couch. I've been using him to hold my school ID and transpass so I don't always have to rummage through my bag, so he gets to ride the bus with me! Unfortunately, it's a bit embarrassing taking pictures on the bus so this is the best I've got. My partner crocheted him a cute little scarf that he wears now. 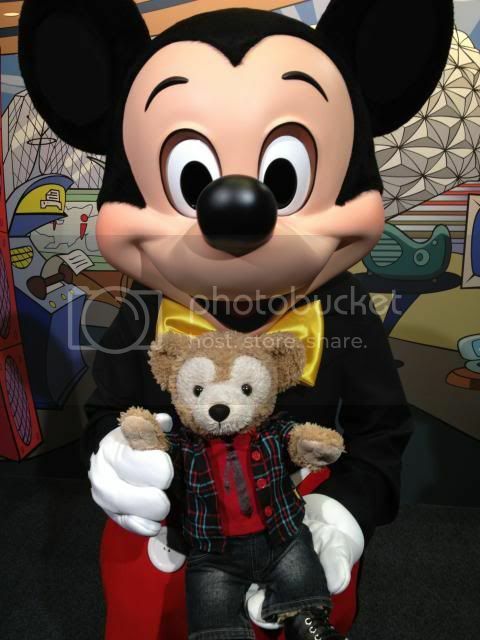 In addition to his usual scarf I found an old Pal Mickey pin trader vest that just so happened to fit him perfectly! So that was nice. 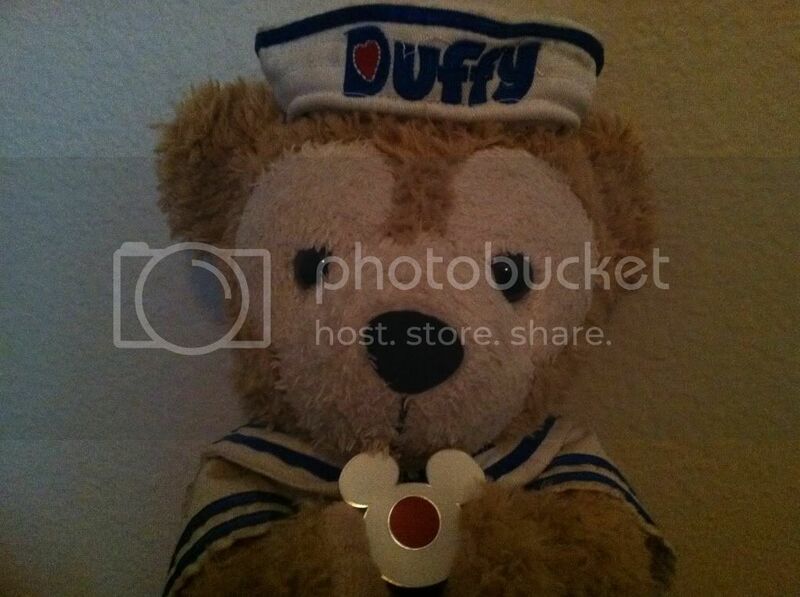 He has a bottle necklace to match Duffy's, although it isn't that visible. My last image was technically a selfie but whatever I took a picture with my bears so have my silly face on top of the totem pole of bear. I love seeing the difference between their fur (loved vs new). It's funny to realize that in a few months DA is probably going to look really different. 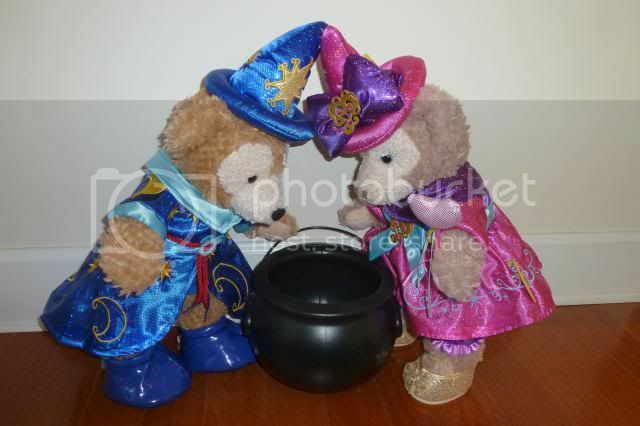 Okay.... since the boyfriend is out of town this weekend, I had a chance tonight to get my photos uploaded. 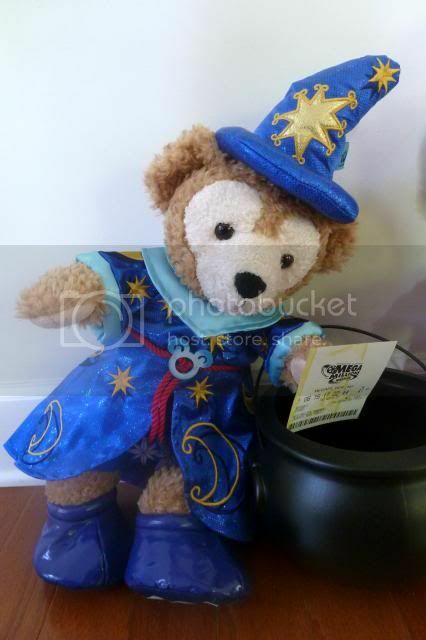 Thursday started with me representing MiceChat in the Blogger Bowl hosted by Attractions Magazine to raise money for Give Kids the World (an awesome charity that sends kids with life-threatening illnesses and their families on a dream vacation to Orlando at no cost to them). The event was at Splitsville at DTD. 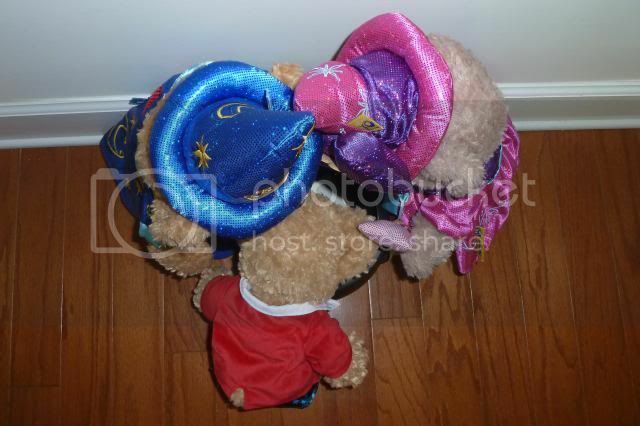 Team MiceChat took home THIRD PLACE! We had a great time and it was for a great cause. 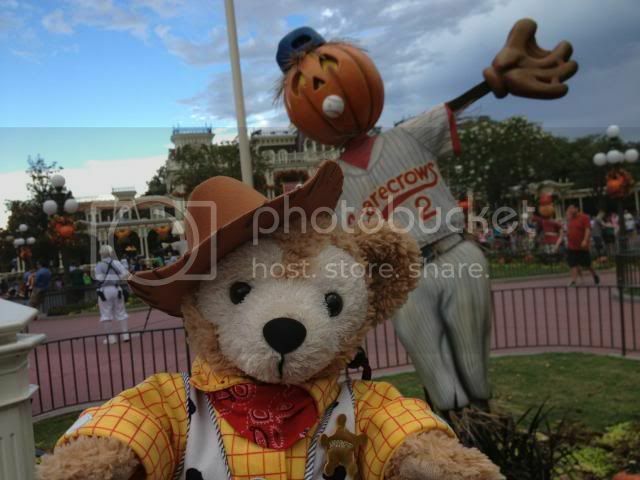 Anyhow... after bowling, I headed to the Magic Kingdom for some fun and to kill time before checking into my hotel. 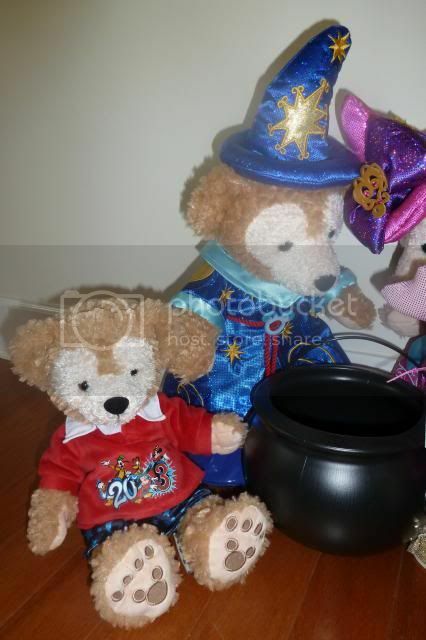 The goal of the day was to get a photo of Duffy and Woody together in their matching outfits. Mission was successful! 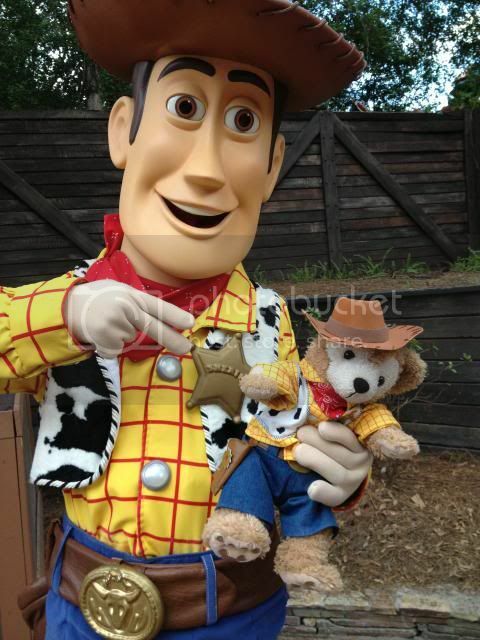 Woody absolutely loved his little twin! 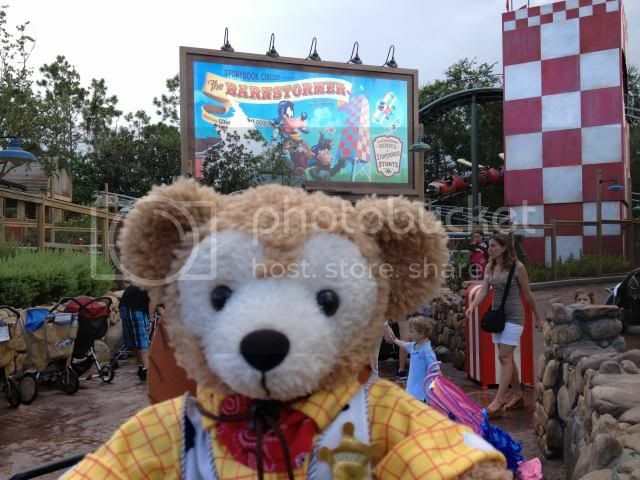 ...and Duffy finally got to ride the Barnstormer! 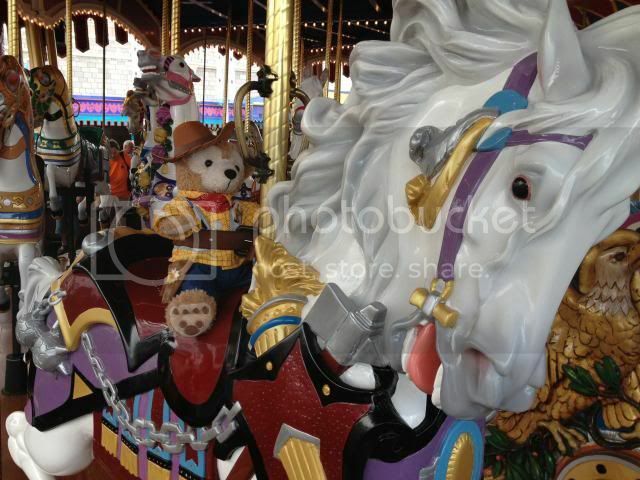 Since we did MK on our park visit last month, there wasn't too much we wanted to do so we only stayed until around 6:00. Day 2 started with a couple minor incidents. 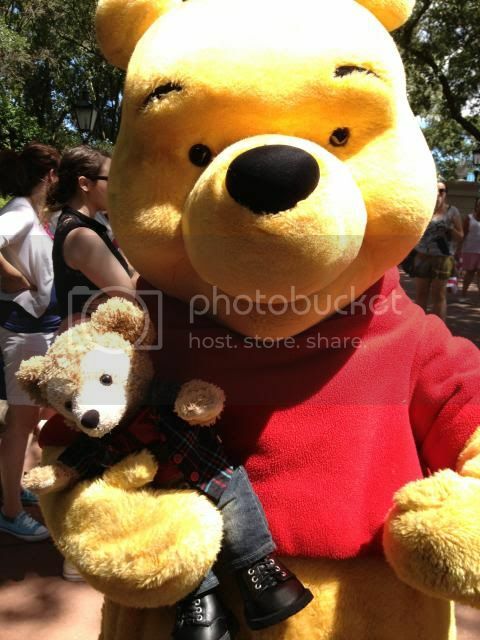 Finally got to Disney a little after noon. 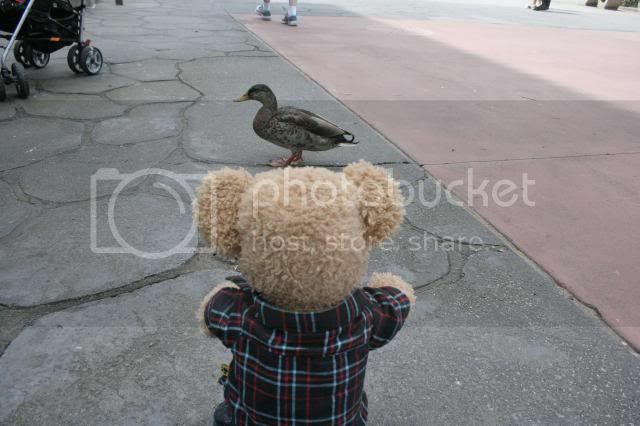 Parked at DHS and taking the boat over to Epcot. Came in via the International Gateway and guess who we saw straight away? 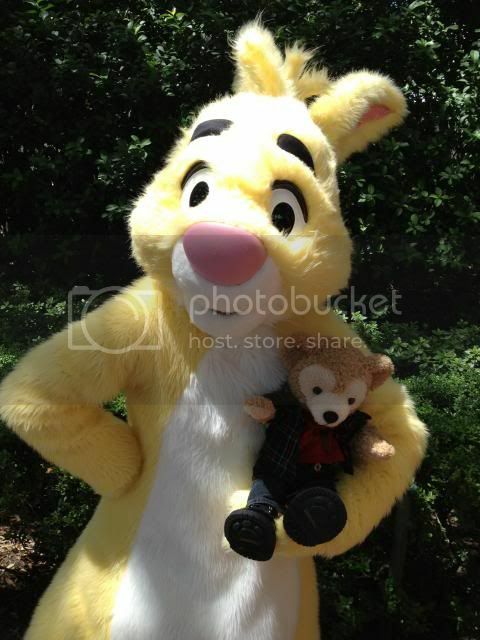 RABBIT was there too! 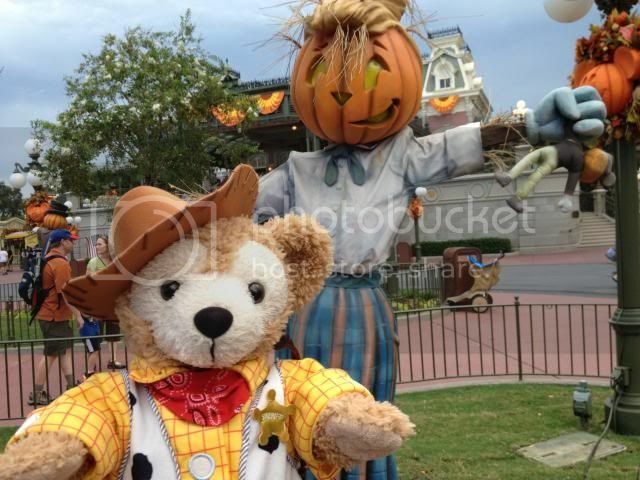 He's a VERY rare character as you normally only see him in a couple of the parades. Decided to have lunch in Morocco as I'd never eaten there before. Had a chicken wrap at the Tangerine Cafe. It was very good. 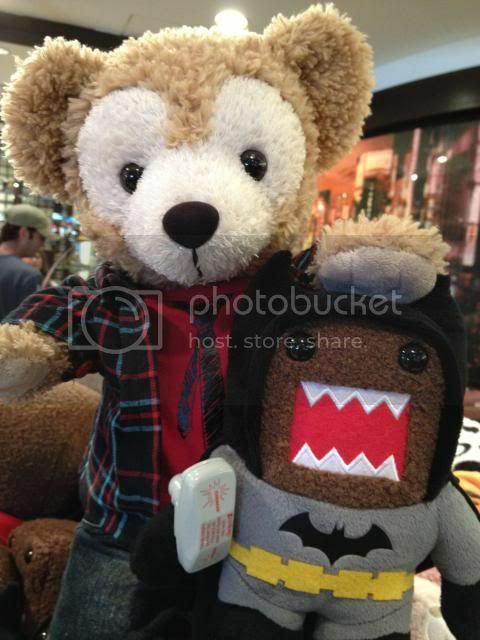 The usual shenanigans happened while visiting Mitsukoshi in Japan. I want one of almost everything in there. 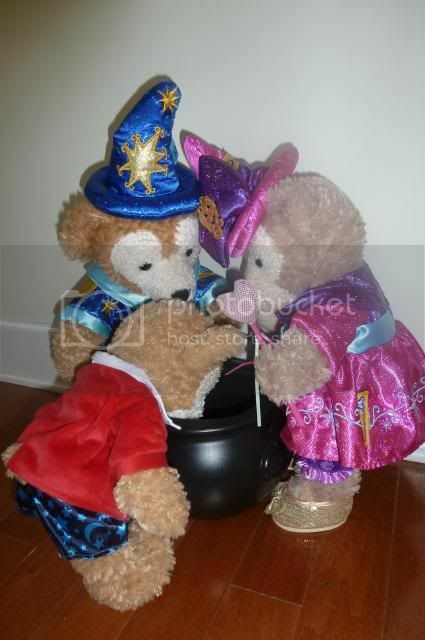 Duffy wanted all the candy! There were a couple ducks by the pagoda looking for a handout. 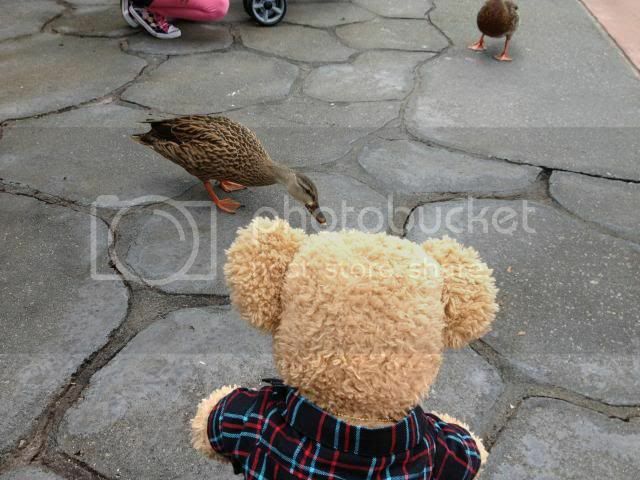 Duffy was interested in watching them. Over by the American Adventure, we ran into mmommie and her daughter! 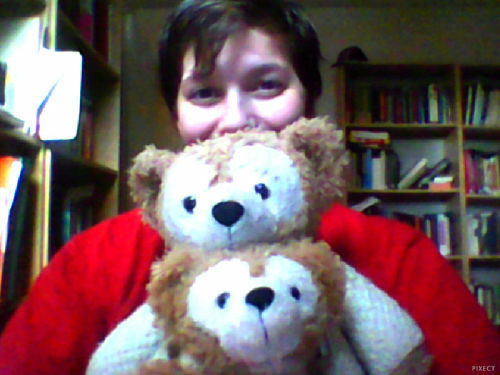 We chatted for a bit, then got our bears together for a photo. 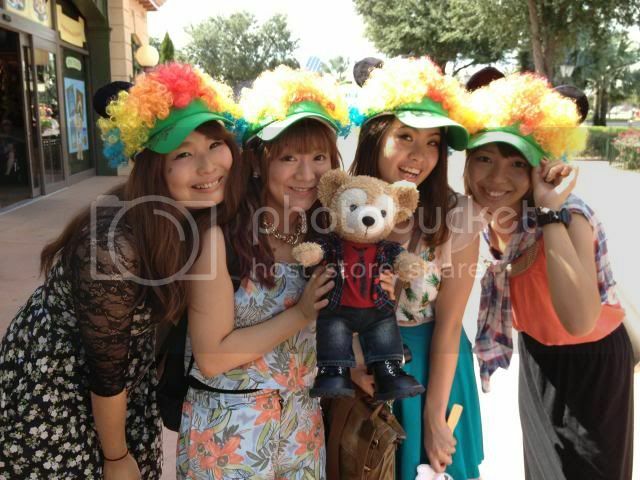 And then a group of Japanese girls asked me to take a photo of them with the cutout of Minnie & Duffy outside the shop, which I gladly did. 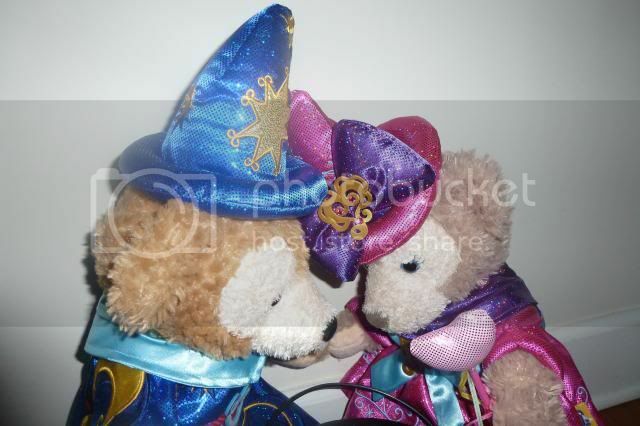 Then I asked if I could take a photo of them with my Duffy, which they early posed for. Finally big Duffy came back out. From there we went to Club Cool because I was in desperate need of air conditioning and caffeine/sugar. 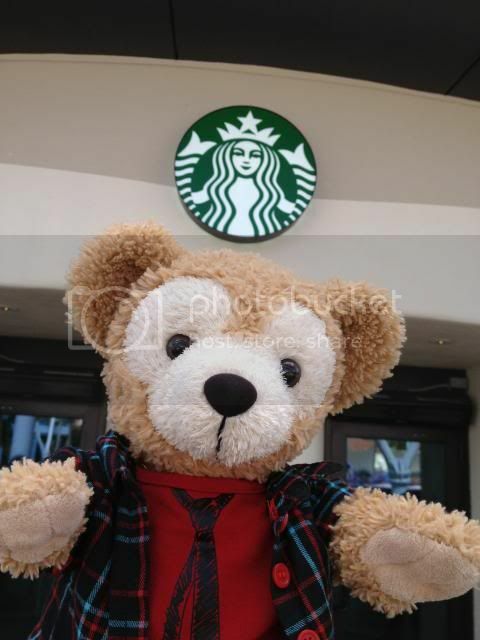 The new Starbucks at Fountainview opened this past week so of course we had to check it out. 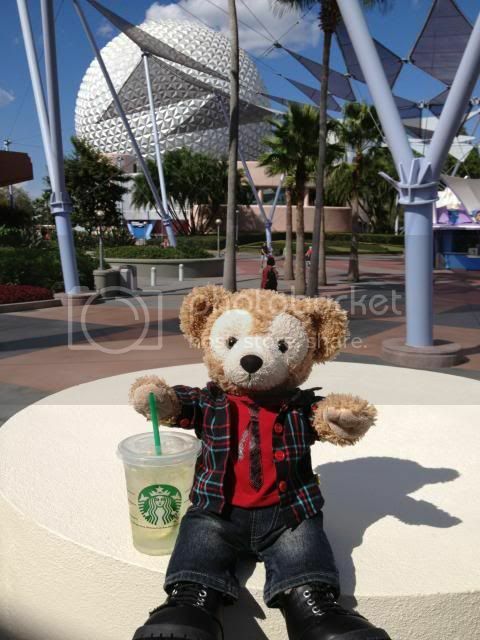 Duffy wanted to try the Cool Lime Refresher. 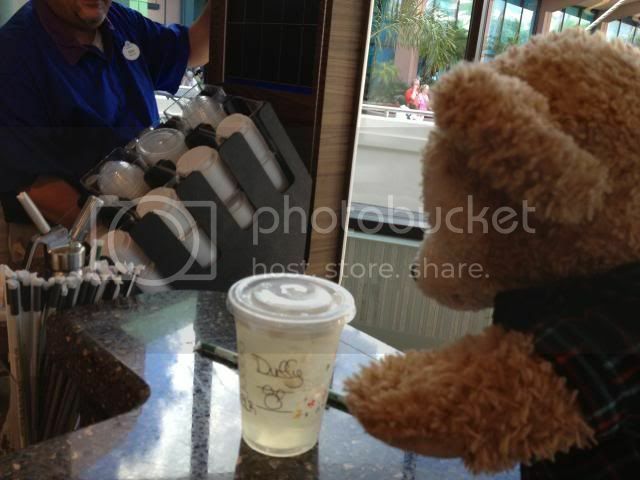 They even put Duffy's name on the cup and made a big deal over him. The Character Spot had no wait! 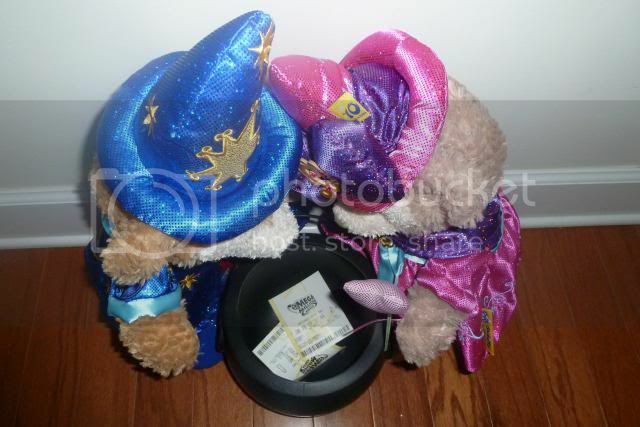 We hadn't seen it since the redo, so we checked it out. 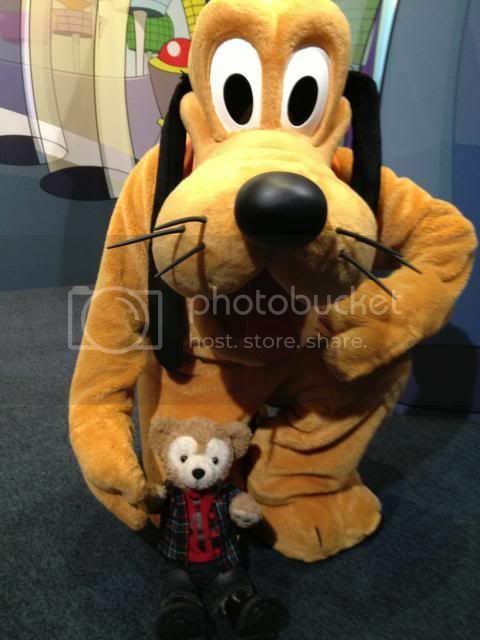 Pluto was in a very playful mood. 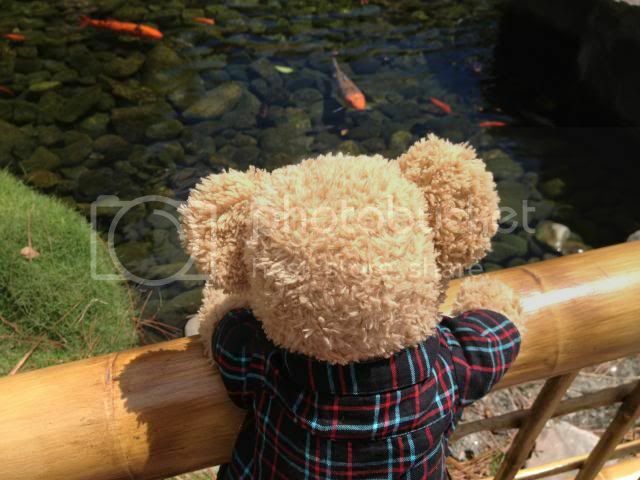 And this has to be one of the cutest photos EVER! 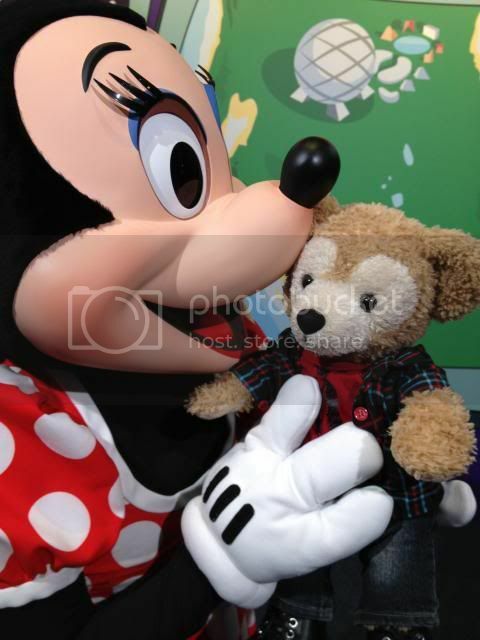 Minnie's attendant and the Photopass photographer were both cooing over how cute it was. 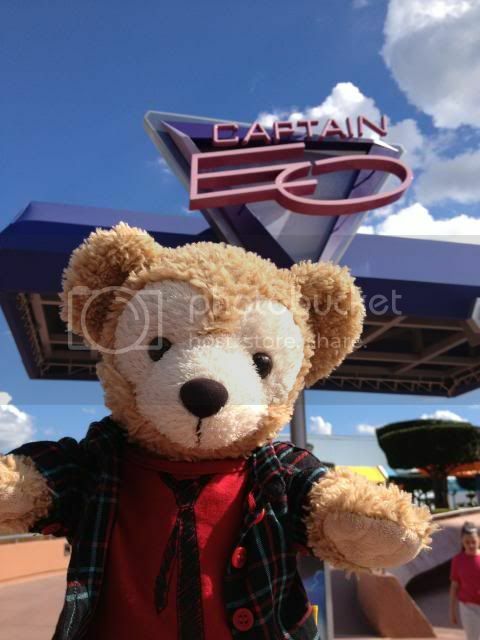 And of course it's not a visit to Epcot unless we visit Captain EO! 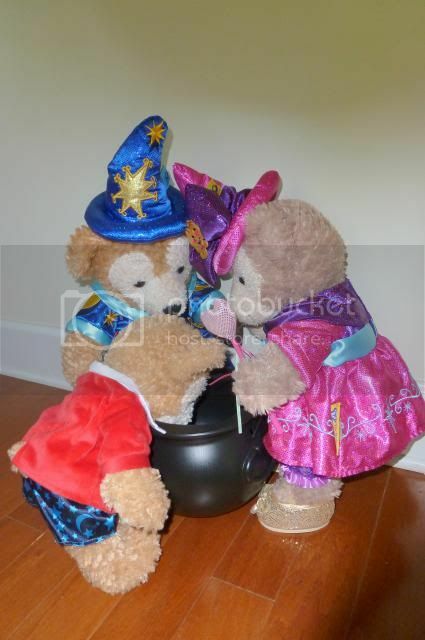 By then it was maybe 5:00 and I was heading back to hang out at DHS with Sandrita & her Duffy for the Unleash the Villains event for Limited Time Magic. 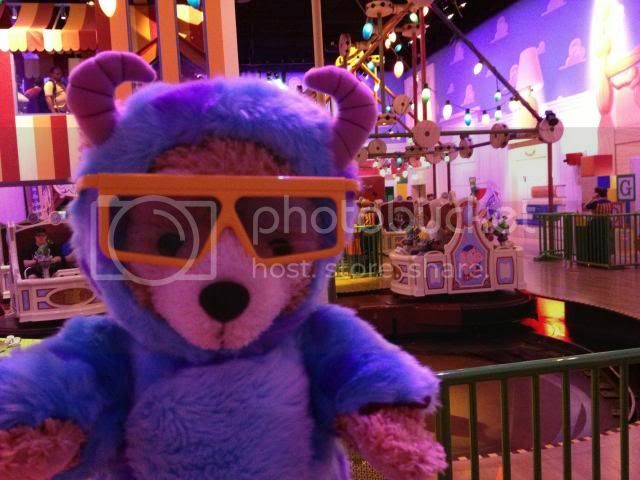 I put Duffy in his Sulley costume because I figured well, Sulley's not a villain, but he IS a monster, so it was good enough for the event. 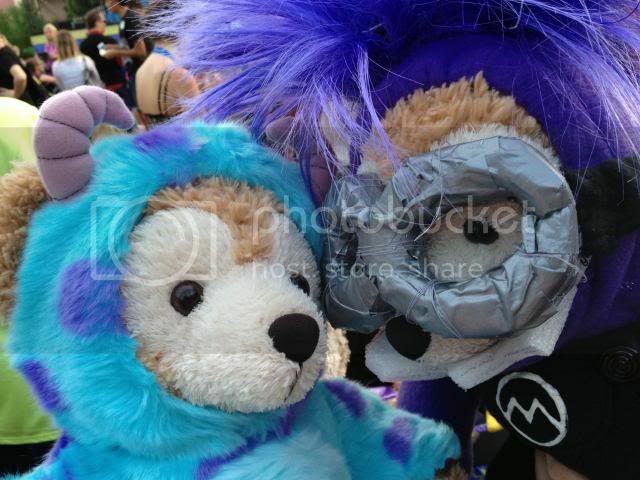 Sandrita took it to 11 though... she made her Duffy an evil purple minion costume! After the initial show and introduction of the villains, we mingled a bit and got some villains photos (Cruella, Sheriff of Nottingham) then we set off to ride Midway Mania. After awhile I went off on my own. 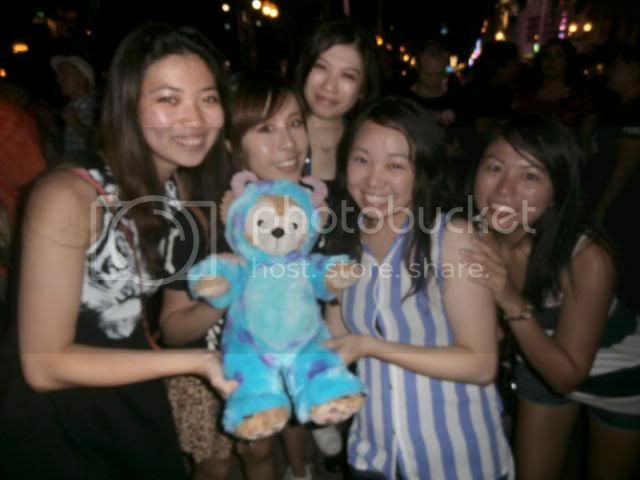 Ran into another group of Japanese tourists who posed for a photo with Duffy. 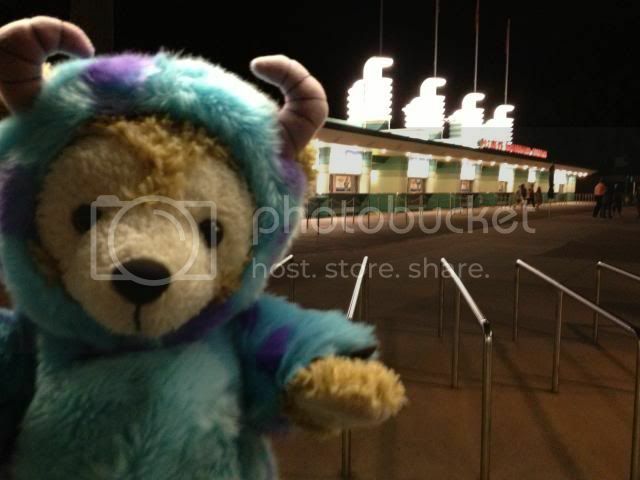 I had so many people ask where I got the Sulley costume or stop to take a photo of him. Everyone thought he was adorable. 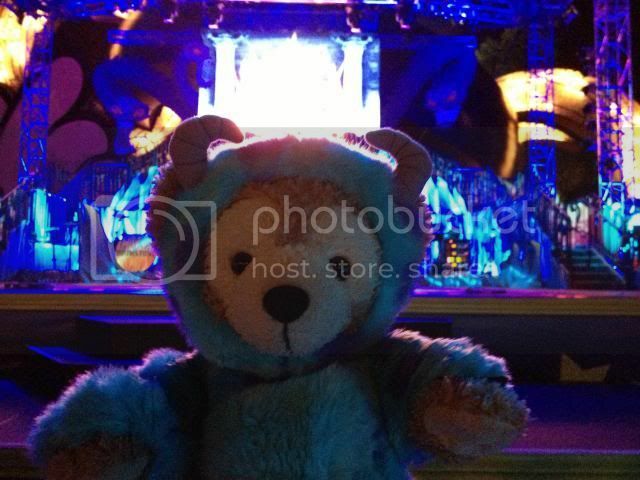 We rocked out to the band & DJ some more and watched the fireworks. 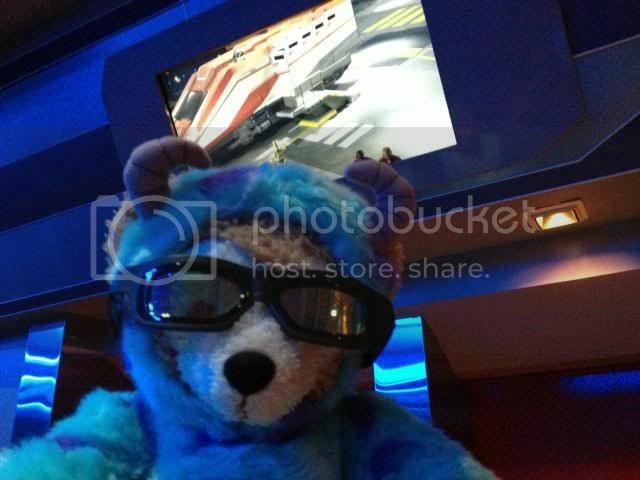 Star Tours had a posted 10 minute wait so we did that. After a loop around the park (it was dead quiet in the back), we went back to the stage to see the band and again and watch the finale of the event. Got more villains photos too (Governor Ratcliffe & Captain Hook). Finally it was 1:00am and the event was over. DHS was packed during the event (though I think a lot of people left after the fireworks). But I didn't want to deal with traffic, so we waited it out for awhile, just sitting on a bench and relaxing (my feet/legs were killing me). Finally around 1:30 I headed out. Bye DHS! It was crazy but fun! And that was out trip! 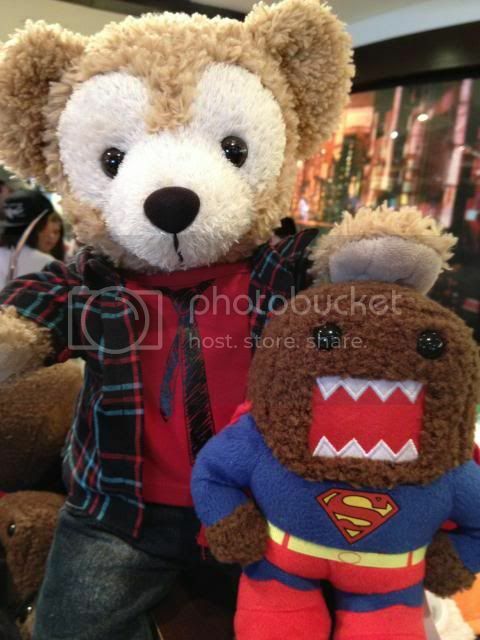 Last edited by aimster; 09-14-2013, 08:56 PM.